One of the things we learn almost every day when you get up in years is that life goes on. But as it does we are faced with constant change. Our environment changes, our abilities change, many of our friends and family are no longer with us, the list could go on and it is a long one. 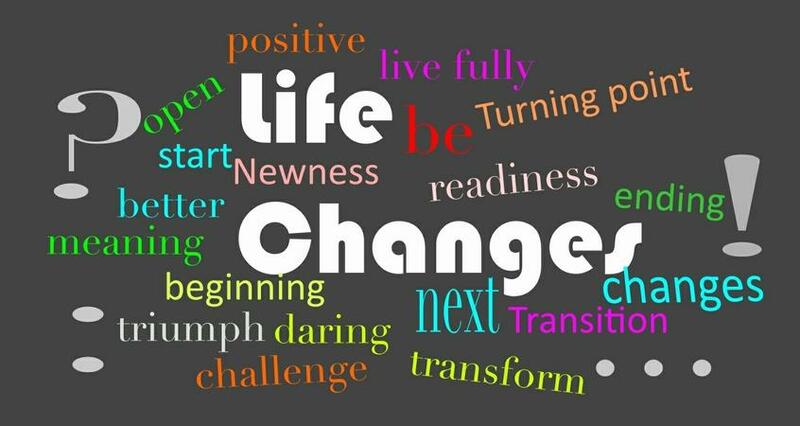 It becomes important that we don’t let the changes we face in our lives take us down. The scenery behind us may have changed but there is more to see ahead of us. The place we were in last year no longer exists, we can stop and live only on memories or we can keep going while developing new memories. It is also important to understand that each of us also exists in the lives of many others and it behooves us to do our best to make sure others are glad that we are there. No matter what our age may be it is the life we lead and how we handle ourselves that will define us to others. We don’t have to pretend we are what we are not but choosing to be as good at life as you can will always be the key to lifelong happiness. Here is a piece that a friend and longtime Daily reader sent me recently that I would like to share with you. I hope you appreciate it as much as I have. At birth we boarded the train and met our parents, and we believe they will always travel on our side. However, at some station our parents will step down from the train, leaving us on this journey alone. As time goes by, other people will board the train; and they will be significant i.e. our siblings, friends, children, and even the love of your life. Many will step down and leave a permanent vacuum. Others will go so unnoticed that we don’t realize they vacated their seats. This train ride will be full of joy, sorrow, fantasy, expectations, hellos, goodbyes, and farewells. Success consists of having a good relationship with all passengers requiring that we give the best of ourselves. I wish you a joyful journey on the train of life. Reap success and give lots of love. More importantly, thank God for the journey. Lastly, I thank you for being one of the passengers on my train. “I did find it rather disconcerting,” the preacher replied. The difference between gossip and news is whether you hear it or tell it. One day I was astonished to find two ivory fossils lying on the floor beside the bookcase. I quickly picked them up and put them back on the shelf. The next week the same thing happened. That afternoon my employer came into the parlor, her faithful canine behind her. Looking around, she eyed the bookcase. I used to be a heavy gambler. But now I just make mental bets. That’s how I lost my mind. Billy Bob’s parents were thrilled and excited when he joined the Army; he was going to serve his country. After Billy Bob had completed basic training, he invited his parents to come to the base and spend the day there. He said that special programs had been set up for all the parents, so that they could see the results of the training. His parents showed up, eager to see what Billy Bob had learned. After all the parents had visited with their sons, the Drill Sergeant announced that the group would do an exhibition of marching, to show off the skills their sons had learned. The troops lined up in formation and marched by the group of parents. If God had meant us to be naked, he would have made our skin fit better. Little Jimmy was laying in the middle of a meadow on a warm spring day. Soon, he began to think about God. Do you ever wonder how the size of hail was described before the game of golf was invented? “You’re wrong,” the young man declared. “For the past 5 years I’ve been working in the bank where your father has his account. Here we go again another fresh start. The great news comes from our realizing that we have an opportunity to leave the path we find ourselves on, even if it is just for a short time. It might be just a pleasant diversion or even better the first step on a more rewarding road. Lately I have felt more and more that too many folks are getting trapped on a path in their life failing to realize that were we start does not have to take us to an unwanted destiny. For some folks it seems like they allow their jobs to control their lives, they define themselves by their work and fall into a rut of routine. Too many of us fail to realize that our employment is not all there is in life, in fact the freedom we have to do other things outside of our working hours is often the place where we can find adventure, pleasure and a wealth of human rewards. All it really takes is a willingness to learn what might make us happy and then the courage to take advantage of the opportunity to start on the road to the happier destination. It is not always the job that holds us back, often it is the misguided effort we put in trying to be better than someone we think has a life superior to our own. 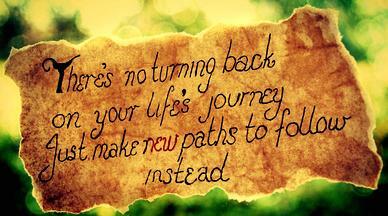 Trying to jump on someone else’s life plan often only results in frustration and unhappiness. Here is a story that shows what I mean. Run your own RACE and wish others WELL! I was jogging this morning and I noticed a person in front of me, about 1/2 a kilometer. I could tell he was running a little slower than me and I thought, good, I shall try to catch him. I had about a kilometer to go my path before I needed to turn off. So I started running faster and faster. Every block, I was gaining on him just a little bit. After just a few minutes I was only about 100 yards behind him, so I really picked up the pace and push myself. You would have thought I was running in the last leg of London Olympic competition. I was determined to catch him. Finally, I did it! I caught and passed him by. On the inside I felt so good. “I beat him” of course, he didn’t even know we were racing. After I passed him, I realized I had been so focused on competing against him that I had missed my turn. I had gone nearly six blocks past it. I had to turn around and go all back. Isn’t that what happens in life when we focus on competing with co-workers, neighbors, friends, family, trying to outdo them or trying to prove that we are more successful or more important? We spend our time and energy running after them and we miss out on our own paths to our God given destinies. The problem with unhealthy competition is that it’s a never ending cycle. There will always be somebody ahead of you, someone with better job, nicer car, more money in the bank, more education, a prettier wife/gf, a more handsome husband/bf, better behaved children, etc. But realize that “You can be the best that you can be, you are not competing with no one.” Some people are insecure because they pay too much attention to what others are doing, where others are going, wearing and driving. Take what God has given you, the height, weight and personality. Dress well and wear it proudly! You’ll be blessed by it. Stay focused and live a healthy life. There’s no competition in DESTINY, run your own RACE and wish others WELL!. What happens if you get scared half to death ….. twice? A guy had been isolated on an island in the South Pacific for 10 years. He lit a signal every night for 10 years but no one saw it and no one came to rescue him. Finally a passing boat did notice the signal and sent an officer and men in a small boat to investigate. The castaway explained that he had been on this island for 10 years waiting to be rescued. The boat captain ask “If you are all alone, what are those three huts I see built in the lagoon? You know, I spent a fortune on deodorant before I realized that people didn’t like me anyway. When I was working as a clerk at a sporting-goods store, a woman came up to my register with a package of white athletic socks. “Will you open this up so I can see how the socks feel?” she asked. I was in a group discussion the other day that focused on how happiness can be so elusive for many people. This morning a friend commented on what he thought was my apparent positive focus even when I am facing some what appears to be a big problem. In reality I don’t think my outlook is necessarily driven by excessive optimism as much as not focusing on negative possibilities. In my experience the bad things we worry about seldom happen so why let them drag us down. Here are excerpts from an article written by Angel Chernoff on why so many of us struggle with the effort to be happy. I thought it was worth our consideration this morning. You let envy get the best of you. When you feel flustered because someone has received the very thing you want, force yourself to remember how much you have already been given. Remember that there’s plenty for everyone, and that everyone gets one dose at a time. A significant majority of your anxiety and unhappiness likely stems from a subconscious disappointment in yourself for the great ideas and dreams that have been forever abandoned in your mind. Although you will sometimes regret the things you carelessly say and do without thinking, you will never regret these things as much as the words and deeds you leave unspoken and undone. Positive growth only occurs when you stretch yourself. What you think has to affect what you say and do. You’ve let too many problems fester. Instead of burdening yourself with problems, let them to inspire you to make changes. Instead of wasting your energy worrying, invest your energy in doing. Sure, some problems facing you may take a fair amount of time to resolve, but the steps for doing so are still small and manageable. It’s just a matter of starting. You hold all your feelings hostage. You’ve been ignoring an inner calling. Passion is a funny thing. No matter how hard you try, you can’t block your inner spirit from the ideas that move you at your core. Trying to do so is an exercise in futility. It’s like tearing your mind and heart away from each other and expecting to feel healthy inside. Honestly, when it comes to your passions you just have to go for it. Don’t get lost in apprehension. Give yourself a chance. 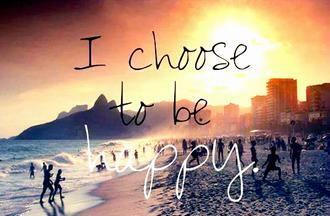 You choose to be negative. “Weiler’s Law” Nothing is impossible for the man who doesn’t have to do it himself. I had breakfast yesterday with an amazing friend. He is well up in years having graduated from Harvard more than sixty years ago. He told me that he and his wife have recently taken up ball room dancing, he also reported that he was presenting a paper which was the result of recent research he had done on the building of the hoover damn. This is a guy that has many gifts that he never allows to stagnate. He is more active than most young people I know, he is soon off to the East Coast to do a lot and see a lot and then he will wing to England to visit old haunts with his wife. I have known him for ten years or so and been awestruck by his energy and accomplishments. When I was with some other folks from my generation the other day I was impressed with them as well for you see they never really stop, they may change paths now and then but they just keep going on enjoying life. These folks reminded me of a story I probably sent you in the past but if so it is worth reading again. I turned around to find a wrinkled, little old lady beaming up at me with a smile that that lit up her entire being. She said, “Hi, handsome. My name is Rose. I’m eighty-seven years old. Can I give you a hug?” I laughed and enthusiastically responded, “Of course you may!” and she gave me a giant squeeze. She concluded her speech by courageously singing The Rose. She challenged each of us to study the lyrics and live them out in our daily lives. At the years end Rose finished the college degree she had begun all those years ago. One week after graduation Rose died peacefully in her sleep. Over two thousand college students attended her funeral in tribute to the wonderful woman who taught by example that it’s never too late to be all you can possibly be. I thought I had found the perfect date in the Personals when she said she liked country music, but what she failed to say was her country was Albania. The third blonde said she knew what Easter was. Doctor to patient: I have good news and bad news. The good news is that you are not a hypochondriac. To keep the heart unwrinkled, to be hopeful, kindly, cheerful, reverent – that is to triumph over old age. One of the gifts life gives us is the ability to get vicarious pleasure out of the good things that happen to others. I got the article below in an e-mail yesterday and it triggered one of those moments. 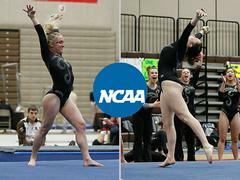 INDIANAPOLIS – Brown University gymnastics junior Diana Walters and sophomore Jorden Mitchell have qualified for the NCAA Regional Championships as individual all-around performers, the NCAA announced on Monday afternoon. The duo will head to Morgantown, W. Va., to take part in the Morgantown Regional hosted by West Virginia University at the WVU Coliseum on April 4. Both reached the regional as one of the top five competitors in the region not on a qualifying team. Mitchell, a native of Indianapolis, Ind., reached the regionals for the first time, standing as the No. 11-ranked all-around gymnast in the North East with an RQS of 38.605. Mitchell has enjoyed a breakout second-year campaign, earning the Ivy Classic All-Around title. She gained All-ECAC (Eastern Collegiate Athletic Conference) accolades on vault, floor, and the all-around to go with All-Ivy Classic plaudits on vault. She has scored season highs of 38.725 (career high) in the all-around, 9.800 (career high) on vault, 9.700 on bars, 9.775 (career high) on beam, and 9.875 (career high) on floor. As many of you already know Jorden is one of my granddaughters and to me she is more than that, besides being an accomplished athlete she is also an outstanding student. Her ability over the years to accomplish much even during adversity has been inspiring. I have watched her do well since she was very young and I believe it is her combination of attitude, commitment and perseverance that has made her so successful. She is one of my role models. I have great regard for all of my grandchildren and their accomplishments, they add luster to my life. If that was not enough I also got the following message from a dear UNICEF Public Health friend who is based in Senegal. “Your ability to be positive is inspirational. I read your dailies without fail. Sometimes share with friends and kids”. And then I got a positive message from an old friend who has retired from the US Agency of International Development who I had the good fortune to meet years ago when we worked on funding international humanitarian projects. Yes, life is good due in no small part to the fact we can cheer on others as they do worthy things. Boone’s Farm “Tickle Pink” is the favorite wine for communion. You get into heated arguments about pension plans and politicians. You sing along with the music piped into the Mall. Your ankles swell and you can’t feel them either. You have lost your sense of smell. Your taste buds only sense the alcohol in medicines. and worst of all…… You can’t remember who sent you this darn list. The new Librarian decided that instead of checking out children’s books by writing the names of borrowers on the book cards herself, she would have the youngsters sign their own names. She would then tell them they were signing a “Contract” for returning the books on time. Ever notice that you have to get to church pretty early to find a seat in the back row? I had an enjoyable hour yesterday with some folks from my generation as we participated in a discussion on how we might avoid stagnation and not let fear of taking risks hold us back. These were my kind of people who believe that we all have an opportunity to enrich our lives no matter what our age. These are individuals who are not letting age hold them back; in fact they showed a more realistic view of the real opportunities life has to offer than many younger people I know. I recently found the following article on WickiHow outlining how to feel good about yourself that reflects a lot of what I heard yesterday. I have edited it somewhat to fit the Daily. Feeling truly good about yourself means loving the person you are — inside and out. If you want to feel good about yourself, it starts with changing your attitude. After that, you can work on creating a lifestyle that makes you feel valuable, loved, and fulfilled. Don’t waste your time comparing yourself to others. It will only lower your confidence and bring you down. There’s no one out there just like you, who has grown up with your experiences and who has your talents. You may feel like everyone around you has it better off than you do. The problem is, you probably tend to focus on your weaknesses over your strengths, and may not even realize all of the things you have going for you. You may be wishing you were more like a friend, who has so much confidence, while she has been wishing to have your brains or sense of humor all along. Develop your confidence. Confidence is the key to feeling good about yourself and to loving the person you are and will become. Find something to really excel at, or work on excelling in something you already love. You’ll feel better about yourself if you’re good at something! Spend time with people who make you feel good about yourself instead of putting you down. When you’re entering an unknown situation, focus on the best thing that can possibly happen instead of what can go wrong. Take pride in your strengths. Surely there must be something you can feel good about! Take the time to sit down and make a list of all of the things you love about yourself. Think of qualities like your compassion, your sense of humor, your strength, or your ability to work hard at anything you do. The longer and more sincere the list, the better. Some qualities you can include are: loving, studious, hardworking, friendly, strong, clever, sharp, easygoing, and fun. Don’t be down on yourself for having bad days. Sometimes you just have to live with the bad feelings and just know they’ll pass. If you feel seriously sad, be sure to talk to someone who cares about you. People think that, to feel good about themselves, they have to feel amazing 100% of the time. This is just impossible. If you’re having a bad day, especially if it’s after a string of great days, then don’t be hard on yourself and know that this too will pass. 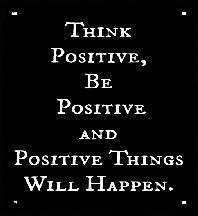 Work on developing a positive attitude. Developing a positive attitude is just as much a decision as something you’re born with. You can work on recognizing when your thoughts are overly negative and turn them around to lead yourself to a healthier mindset. For every negative thought that crosses your mind, fight it with at least two or three positive thoughts. Practice talking about yourself positively to your friends. You’ll find that your optimism is contagious, and that you’ll feel better about yourself just by talking about it out loud. Stop caring about what people think. Have you been hurt by words? Remember this: People who insult others usually do it to make themselves be powerful. Know what that means? They’re probably insecure. They are the ones who lack confidence, so try not to bend into the pressure to return their jabs with an insult. Ask yourself if the people who hurt you are worth impressing. Soon enough, you’ll see that they are only an obstacle to your happiness, not a means toward it. Among the most effective labor-saving devices is the neighbor who hasn’t returned your garden tools. At the rate changes are occurring everywhere, anyone nostalgic for the “good old days” is yearning for last week. So, Mendel bought the sign and business took off. The tailor fed his family and all was well. However, as time passed it became evident that Mendel couldn’t keep up with orders all by himself. He contemplated hiring on a helper, but wondered if he could afford it. So, he asked God if getting help would be a prudent move. So Mendel signed a lease on the 5th Avenue store and profits from his business went through the roof. Out of heartfelt gratitude, Mendel proposed to the Almighty that he dedicate the store to Him. “How do you like the name “Yaweh and Mendel,” the tailor asked. Our dog, Longie, suddenly began barking daily at 4 a.m. Irritated and sleepy, my husband, Larry, searched the back yard for what might have disturbed this otherwise placid animal. For three days he found nothing amiss. Then the dog woke up the neighborhood at 3 a.m. with frantic barking. When Larry looked out the window, he discovered someone throwing pebbles to land near Longie. Larry hurried outside and found the culprit. Crouching on the other side of the fence was our quiet neighbor, the last man you’d suspect of wrongdoing. My husband demanded to know what he was doing. Good morning all, here we go again, another week and another fresh start, or at least the opportunity for one. I have been slowly regaining my stamina after my recent health setbacks and I am beginning to wonder if I may have to make some adjustments to my daily routines. I had a three doctor week last week and am down to only one this week. We have restarted all my medications and I have begun my workouts so progress is being made but I also realize that age has taken its toll and some adjustments are in order so I am going give up being the guy that wakes up the roosters at the YMCA at 5 AM every morning and see if sleeping in an extra hour or two brings back my verve. Here is an edited article written by Steve Davis that I think may help me, possibly you too. Guilt is rampant in our culture. So is the vendetta against selfishness. Suffering is supported and nurtured by friends, family, religions, etc. So it’s not surprising that many of us, deep down, don’t feel we deserve to have what we want. Acknowledge these judgments then forgive yourself for holding these false perceptions about who you really are. Because the truth is, they are only ideas, many of which are irrational, and you will create yourself each moment based on the new idea you hold about who you are. Are you complaining about being in the situation you’re in? Are you blaming others? Or have you accepted full responsibility for your situation and just beat yourself up for not making the change? If any of the above are true, you are playing the victim and you’re forfeiting your power to make the change you say you want. To the degree you play the role of victim, you lose power you could be using to move forward. 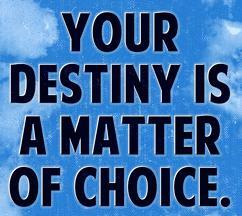 So get behind yourself completely and own your full power to create the life you desire, no matter what. We are so conditioned to figure things out before we leap, that sometimes we become paralyzed to take the actions our bodies are directed to take from the beginning. If you’re stuck in a thinking pattern rehashing the same ideas over and over, trying to figure out what will happen if, then you’re stuck in a mind-loop. It’s time to quit thinking and start doing. New opportunities, relationships, resources, connections, and ideas always rush in to fill space in our lives. But first, you have to make the space for something new, and second, create a clear vision of what your life will look like once your change is complete. The vision of your new future eliminates the fear of the unknown–which can keep you stuck for a long time! Big life changes can be overwhelming. There’s no shame in asking for help from friends, relatives, or from a coach. In fact, enough of the right kind of support can make a seemingly difficult change, relatively easy. Do whatever is necessary to make change easy on yourself. You’re worth it! Are those cookies made with real Girl Scouts? Effective immediately, this hospital will no longer provide security. Each charge nurse will be issued a .38 caliber revolver and 12 rounds of ammunition. An additional 12 rounds will be stored in pharmacy. In addition to routine nursing duties, Charge Nurses will rotate the patrolling of the hospital grounds. A bicycle and helmet will be provided for patrolling the parking areas. In light of the similarity of monitoring equipment, ICU will now take over the security surveillance duties. The ward clerk will be responsible for watching cardiac monitors and security monitors as well as regular duties. Food service will be discontinued. Patients wishing to be fed will need to let their families know to bring something or may make arrangements with Subway or Pizza Hut to deliver. Coin-operated telephones will be available in patient rooms for this purpose as well as for other calls the patient may wish to make. Housekeeping and Physical Therapy will be combined. Mops will be issued to those patients who are ambulatory, thus providing range of motion exercises as well as a clean environment. Families and ambulatory patients may also sign up to clean the rooms of non-ambulatory patients for special discounts on their final bill. Time cards will be provided. As you can see on the “from” line above, hospital administration is assuming the grounds keeping duties. If an administrator cannot be reached by calling his/her office, it is suggested that you walk outside and listen for the sound of a lawn mower, weed-whacker, etc. Maintenance is being eliminated. The hospital has subscribed to the Time-Life “How to…” series of maintenance books. These can be checked out from administration, and a toolbox will be standard equipment on all nursing units. We will be receiving the series at a rate of one volume every other month. We already have the volume on “Basic Wiring,” but if a non-electrical problem occurs, please try to handle it as best you can until the appropriate volume arrives. Cutbacks in phlebotomy staff will be accommodated by only performing blood-related tests on patients who are already bleeding. Physicians will be informed that they may order no more than two X-rays per patient stay. This is due to the turnaround time required by Photomat. Two prints will be provided for the price of one, and physicians are being advised to clip coupons from the Sunday paper if they want extra sets. Photomat will also honor competitors coupons for one-hour processing in emergency situations, so if you come across any extra coupons please clip out and send these to ER. In view of the hot summer temperatures, the Utilities Dept. has been asked to install individual meters in each patient room, office, etc., so that electrical consumption can be monitored and appropriately billed. Fans will be available for sale or lease in the hospital gift shop. In addition to the current recycling programs, a bin for collection of unused fruit and bread will soon be provided on each floor. Boy, am I confused… I think.